This is only a few shelves in my library. As I’ve probably mentioned before, I’m a reader. I read TIME with my morning cup of coffee and breakfast. I read the newspaper with lunch and supper. When evening comes, I’m almost always in my nesting chair with a book or two listening to music and reading. When I go to bed, I have another book to read before I go to sleep. I even read in the bathroom – usually Reader’s Digest which is perfect for there. That started when I was raising a flock of small children – four in less than five years. It was the only place I found peace when they were awake. Not that it was much peace since usually at least one child was lying on the floor outside calling for me under the door wondering when I was coming out. Recently, I came across an article in Readers Digest – 13 Things Ancestry Trackers Won’t Tell You by Michelle Crouch. The fourth one was “Talk to your older relatives now – I mean today – about what they remember, and write it down. Then hunt through their attics for old photos, obituaries, newspaper articles, military papers and more, etc. etc.” I read that and thought, My Heavens! I’m the oldest one in my immediate family and out of a previously large amount of aunts and uncles; I only have two older uncles and one older aunt left. The aunt has lived far away and is not in good health. I haven’t seen her in fifteen years or more. The uncles I see occasionally – one lives fairly close. He remembers the past quite well, or at least the same stories he tells me when I see him. The other lives fifty miles away and when I arrange a reunion or a luncheon in a restaurant for cousins and siblings with him, he comes. He’s in his nineties and still rather alert, but he admits to not remembering things I ask him about. As for the memorabilia, it’s cluttering my house. What he still has will go to his children. A few days ago I read an article by John Parker, a community columnist in our local newspaper. He was reminiscing about the rural areas of our county and how they’ve changed since he was young. He’s in his early eighties, I think. Having lived in the rural areas of my county for all but three years of my life, and being only about six or seven years younger than him, I could relate to that. He wrote about how the small farms, indeed most farms, are fewer now, and those few dairy farms left are much larger. He wrote how each community had its school, grocery or general store, gas station, etc. and how the people who operated these places of business knew you. He lived in a more rural area than I did, so although I don’t remember anyone in the grocery store closest to my school remembering me, I still remember those wooden floors and on the days I decided to walk home from school instead of taking the bus, and buying a candy bar from the one clerk behind the counter. 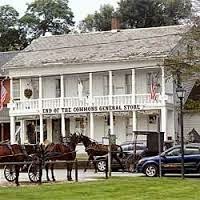 Now it’s still owned by the Klingemier family, but it’s a large and modern store with lots of people working for them. All of them friendly and helpful, too. The morning I read the column also happened to be the annual excursion to Bluestone Perennial’s up near Lake Erie my sisters Elaine, Suzanne and I take every spring to use the generous gift certificate our brother gives us every Christmas. When they arrived bright and early, Suzanne brought me some things she thought I’d want. I did. One was a picture of my younger brother and me as toddlers on a beach at Geneva-on-the-Lake where our parents had rented a cottage for a week. She’s had it for years and thought I’d like it now. It was enlarged and in a nice frame. I’ve only remembered that time because over the years as our family grew, we went for picnics up there every year and the cottage had been pointed out often enough for me to know it. There was an arbor with climbing red roses over it by the front door. She also gave me a painting she said our mom had painted when I’d been teaching her to paint. I have absolutely no recollection of that. Yes, I was an artist, of sorts, for more than twenty years, went to art shows, sold paintings, etc. but I have no memory of teaching my mom to paint. I’m wondering if it was when she stayed with me for ten days when my father was admitted to a local hospital for about that long. I’m assuming it was the only picture she painted and I think it’s lovely. I’m going to frame it. Where I’ll hang it, I have no idea. She also gave me an exquisite etching on metal of an antique stove with elaborate details that my sister said my father had done at work when he worked in a factory when he was younger. I stared at that for the longest time that evening marveling at how intricate and beautiful it was. Because it's etched on metal the flash on the camera hid part of it. After a lovely day of traveling to Madison, Ohio, much of it through Amish areas, and almost two hours spent at Bluestone Perennials. We headed to Geneva for lunch with the back of my car filled with plants. After lunch at Cup of Joe, a small restaurant, we visited some antique shops, and then drove to a state park on Lake Erie. It was too cold to walk on the beach, but we stayed awhile to look at the lake before heading home through the country side we know through years of traveling on picnics with our family. We did a lot of reminiscing about those picnics and Warner’s Hollow, a deep ravine with a rock filled stream at the bottom where we picnicked at least once or twice a year. From spring through fall, our family went on picnics almost every Sunday with an aunt, uncle and four cousins after church. When we got to Mesopotamia where every year they hold an Ox Roast over Fourth of July weekend with the commons filled with antique and other dealers. It’s a big fund raising event for the local fire department. I mentioned I hadn’t been to one for quite a long time. Suzanne remembered the time my husband had me locked up. It was part of the fund raising where this big burly man, as she remembered, came and arrested me as I finished my meal and took me off and locked me in a cage. I wasn’t allowed out until someone paid the fine. She remembers our mom and her standing outside the cage laughing, but mom finally took pity on me and paid the fine. Like the painting, I don’t remember that except after she told me about it, I think maybe I have a vague recollection. For much of that trip home, we recalled stories from our past. It was a good day even though it was chilly, and one of the best parts was reliving memories from the past. Only the first of the plants I'll be buying this year. What memories from the past do you have that you enjoy remembering? I can’t remember a time when I didn’t want to be a writer. Before I could actually write, I dictated stories to my father, and he typed them up. One of my first masterpieces was “The Grandson of Frankenstein,” written (or, actually, dictated) when I was in kindergarten. I’d seen an old movie called The Son of Frankenstein on television and was upset when the monster was killed. So I rewrote the story with a happier ending. As I recall, in my version the family’s butler is killed accidentally, and Dr. Frankenstein gives the monster the butler’s brain. After that, the monster is gentle and elaborately polite, and he takes great pleasure in serving the family at dinner. I hope some of my later efforts have been more successful. For years, I wrote constantly—stories, poems, plays, a hopelessly episodic novel. When I reached high school, I realized I’d never be Shakespeare, gave up creative writing altogether, and decided to aim for an academic career. When I was in my thirties, my father died of a sudden stroke, and I felt so devastated that I decided to write a mystery novel as therapy—I couldn’t afford a shrink. The novel never got published, but I’ve been hooked ever since. I’ve read that you decided to write short stories because they were more achievable with your work schedule. What advantages have writing short stories given you as a writer and in the mystery writing genre? To be completely honest, I decided to write short stories primarily because no one wanted to publish my novels. (I’m so glad you didn’t ask me how many unpublished novels I’ve written. The answer would be humiliating.) But short stories did prove to be a good fit with teaching English, raising two children, volunteering as a religious school teacher and (eventually) principal, and occasionally paying attention to my husband. 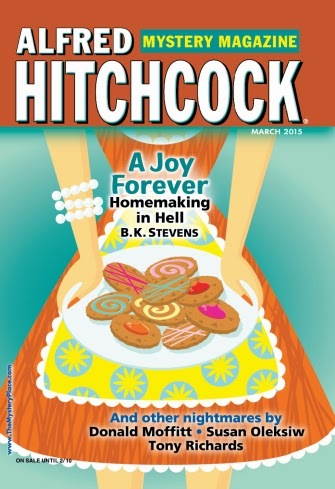 And I do think my years of writing stories for Alfred Hitchcock Mystery Magazine taught me a lot about constructing a satisfying mystery plot, developing characters readers care about, weaving in themes without getting too preachy, and handling the many other challenges mystery writers face. I think my experience writing short stories helped me make the plot of Interpretation of Murder tighter, helped me make its pace quicker. And it’s undoubtedly true that it’s easier to find time for novels now that I’m taking a break from teaching, and now that my children are grown. I still occasionally pay attention to my husband. After all, he’s the one making it possible for me to take a break from teaching. Through your short stories, you’ve explored many venues and different types of characters. What drew you to writing about the deaf and sign language? My younger daughter, Rachel, is hard of hearing, and my older daughter, Sarah, is an American Sign Language interpreter. Oddly enough, Sarah was fascinated by sign language years before the doctors finally figured out that Rachel’s speech problems were caused by severe hearing loss. (She went through years of speech therapy and several unnecessary surgeries before we got a correct diagnosis. She wears hearing aids now, and she’s doing fine.) When Rachel was still an infant, Sarah learned the ASL alphabet and taught it to my husband and me, and we sometimes used it to communicate in situations when speaking would have been inconvenient or inappropriate. While she was in high school, Sarah took ASL classes at a community college; before she graduated, she’d earned state certification as an interpreter. She continued to study ASL in college, even though it wasn’t her major. Later, she took additional classes, got her national certification, and now works as an interpreter. So I have to give my daughters the credit for getting me interested in deafness and sign language. Your protagonist for Interpretation of Murder is Jane Ciardi, an American Sign Language interpreter. How did you research an interpreter’s experiences? Naturally, my daughter Sarah was my primary source of information about interpreters’ experiences. 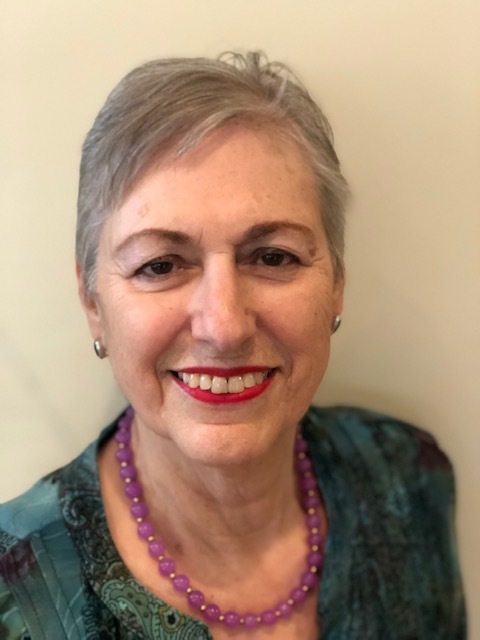 She suggested the idea for my short story about Jane Ciardi, helped develop ideas for the novel, read multiple drafts of both the story and the novel, and made countless important suggestions and corrections. She also told me about wonderful books that gave me further insights. (I’ll mention just one here, Leah Hager Cohen’s Train Go Sorry: Inside a Deaf World. It’s a tremendously informative, moving book, a memoir not only about Cohen’s life but also about the lives of several students she worked with at the Lexington School for the Deaf. And it’s beautifully written.) Sharing my daughter Rachel’s experiences and frustrations also taught me a lot. Jane first appeared in a Derringer award winning story published in Alfred Hitchcock Mystery Magazine and now available on Amazon as “Silent Witness.” That story has a haunting quality. At the time you wrote it, did you know or suspect that you would be writing more about Jane? By the time I finished writing “Silent Witness,” I’d developed a deep respect for Jane and wanted to write about her again. But there was a problem. I didn’t want to write stories or novels in which the protagonist just happens to be an interpreter, in which one or more of the suspects just happens to be deaf. (It should really be “Deaf,” by the way—most members of the Deaf community now capitalize the word as a positive assertion of identity. But every agent or editor who commented on the manuscript criticized me for making a typographical error, so I finally caved in and reverted to using the lower-case letter. The novel got accepted.) I wanted deafness and interpretation to be integral to the plot and to the solution of the mystery. I wanted to follow in the tradition of Harry Kemelman’s mysteries, in which Rabbi Small’s knowledge of Jewish texts and traditions helps him figure out who’s guilty and who’s innocent. I think I achieve that objective in “Silent Witness”—the plot hinges on two different approaches to sign-language interpretation, on the ways in which Jane’s co-interpreter abuses the inevitable subjectivity of interpretation to try to influence a jury’s decision. And Jane’s knowledge and habits as an interpreter help her spot the real murderer in the courtroom. I hope I achieve that objective again in Interpretation of Murder—but I can’t say more about that without giving away too much. How did you decide that Jane needed the larger canvas of a novel? 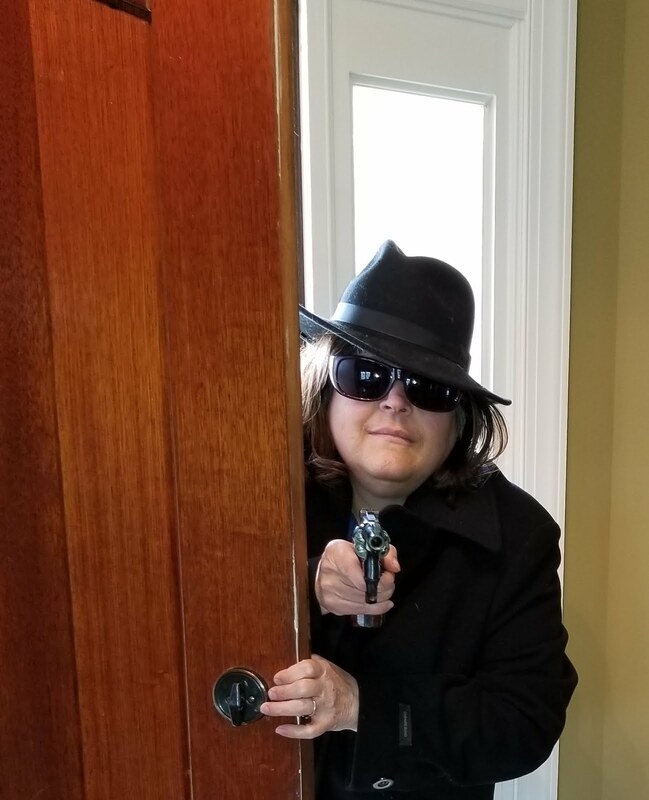 If someone asked me what Interpretation of Murder is about, I’d have to say “ethics.” Jane cares passionately about her professional code of ethics as an interpreter, and the issues that code raises point to more general ethical questions we all face every day. “Silent Witness” touches on some of those questions, but I wanted to explore them further. In Interpretation of Murder, Jane encounters several people with very different codes of ethics, and she has to weigh those ideas about ethics against her own. A novel provides more scope for developing such themes. It also, of course, allows me to develop Jane’s character more fully and to craft a more complex mystery plot. Do you plan on writing more short stories or novels about Jane? I hope to write both stories and novels about Jane in the future, but I have to come up with the right idea, and I haven’t found it yet. Right now, my daughter Sarah and I are talking about a story or novel based on her experiences as an interpreter for a video-relay service that helps deaf people communicate by phone. There are some fascinating possibilities—Sarah ran into some difficult situations when she had that job, and she had to make some tough decisions—but I don’t know whether we’ll be able to use her experiences as the basis of a satisfying mystery plot, and I don’t know if it would work better as a story or as a novel. Your publisher Black Opal Books has the motto, “Because Some Stories Just Have to Be Told.” How did you find the experience of shifting from working with a short story editor to a book editor? 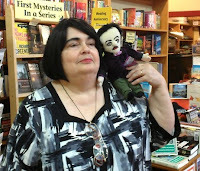 I’ve had wonderful luck with my editors at both Alfred Hitchcock Mystery Magazine and Black Opal Books. (I’ve also had less-than-wonderful luck with some other editors, both in the mystery field and in academic publishing, but I’d better not say more about that.) In fact, Interpretation of Murder is dedicated to the memory of my first editor at AHMM, Cathleen Jordan. I would have given up on mystery writing long ago if it hadn’t been for her interest and guidance. And working with Linda Landrigan, who’s now the editor at AHMM, is an absolute delight—I respect her judgment, and I appreciate the respect she always shows for writers. The editors at Black Opal Books also treat writers with respect. I didn’t agree with them about everything—do writers and editors ever agree about everything?—but I was grateful that they didn’t try to impose their style on mine or ask for unreasonable changes. What influences have your family had on your writing and your writing career? I don’t know if any writer has ever owed more to her family. My father was an English professor—that’s why I became an English professor—and he also wrote wonderful novels, plays, and humorous verse. He didn’t have much luck at getting published, but his unfailing enthusiasm inspired me, and he did everything he could to encourage my inept early efforts. When I was in the second grade, my mother gave me a diary and told me to write something every day. It’s an important habit, and it made a difference. Reading is an even more important habit for writers, and both my parents constantly shoved books at me. Sadly, they passed away before I started writing Interpretation of Murder, but my husband and our daughters have given me all the support and help any writer could want. 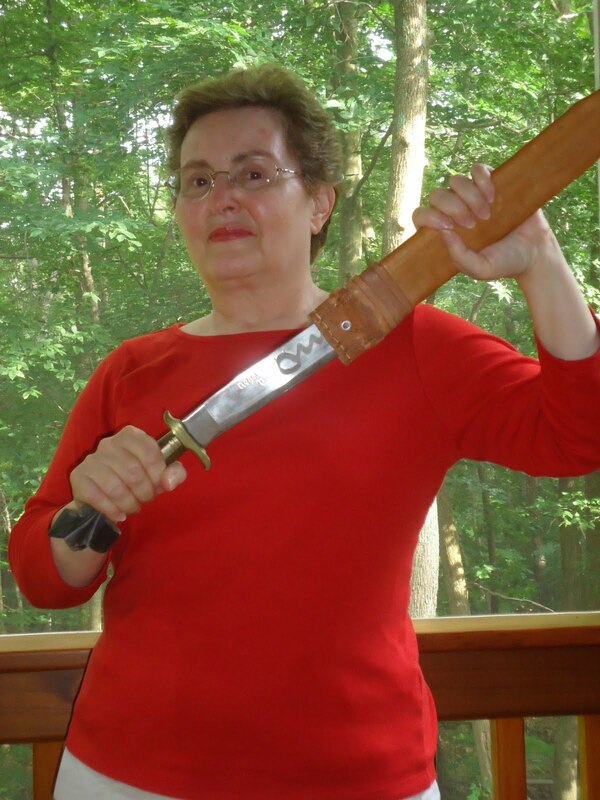 Jane Ciardi’s martial arts skills are an important element in Interpretation of Murder, and my husband, a fifth-degree black belt, choreographed all the martial arts scenes, patiently re-enacting them again and again while I scrambled to jot down descriptions. My daughter Sarah, as I’ve already said, gave me invaluable insights into sign-language interpreting and deaf culture. And my daughter Rachel, who was living in Cleveland and working part-time at an upscale fitness center while I wrote the first draft of the novel, suggested settings for various scenes and supplied the information and insights needed to create the fictional Elise Reed Fitness Center. All three of them read drafts, made suggestions, and helped me make countless improvements. I couldn’t have a more supportive, helpful family, and I couldn’t be more grateful. E.B. Davis always likes to ask our guests if they have a preferred location. Would you rather be at the beach or in the mountains? I’d rather be in Cleveland! That’s where Interpretation of Murder is set. I’ve lived in nine different states and twelve different cities, and Cleveland is my all-time favorite. I love its vitality and diversity, I love its museums and theaters, and of course I love its corned beef. I’ve lived in Virginia for almost seven years now, and I enjoy the mild winters, but it’s hard to find a decent delicatessen. If I were picking a vacation spot, I’d choose the beach rather than the mountains. I love looking at large bodies of water. (Not swimming in them or surfing on them—I’m not that athletic. Just looking at them.) Then I’d want to go back to Cleveland. Did you know there is a forensics laboratory devoted solely to crimes against wildlife? The U.S. Fish and Wildlife Service Forensics Laboratory located in Ashland, Oregon is the only crime laboratory in the world of its kind. Why is this lab so important? According to the television program TechKnow on Al Jazeera America and an article adapted from the interview, it’s on the front lines in a fight against the illegal trade in endangered species. Surprisingly, this 19 billion dollar industry is the fourth largest criminal industry in the world behind drugs, counterfeiting, and human trafficking. Also, it's connected to organized crime, militant groups and even al-Qaeda. I was shocked to learn that since the 1970s the number of animal species has declined on average by half! For example, the rhinoceros is being killed for its horn because people believe that it can cure medical problems even though it’s made of essentially the same substance as your fingernail. 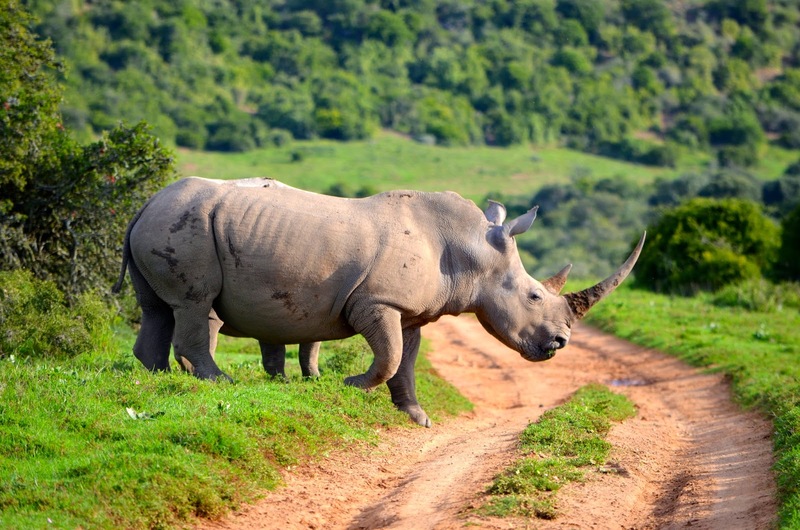 A rhino’s horn is worth $200,000 to $400,000 on the black market. Sadly, the rhino population has been devastated with fewer than 30,000 remaining in the wild. The Western black rhinoceros has been declared extinct. Time will tell if all rhinos become extinct. Director Ken Goddard, who was working as a human CSI agent, built and now runs the wildlife forensics laboratory. In an interview he said that the most difficult part of setting up the crime lab was convincing agents they needed one to help catch poachers and other criminals. The lab employs about fifteen scientists in five different areas (chemistry, criminalistics, genetics, morphology, and pathology). This team works for approximately 150 other countries that signed the CITES (Convention on International Trade in Endangered Species) Treaty. The goal of the laboratory, similar to forensics labs that deal with human murder, is to link suspect, victim, and crime scene with physical evidence. The science begins when a package arrives in evidence processing along with questions from field agents. Evidence items could be an entire animal or part of one depending on the size, or an object (a carving, leather from a purse, etc.) suspected of being from an animal. Often agents want to know what kind of animal it was and if it's on the endangered list. To make this determination, scientists might take DNA from the sample. For example, in the case of a rhino horn they may drill close to its core in order to obtain tissue. The tissue is crushed into fine powder and liquid is poured on it to break it down. Then it's compared with other samples in lab. 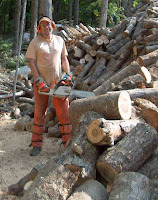 If the object is something like a carving, the procedure is more difficult. 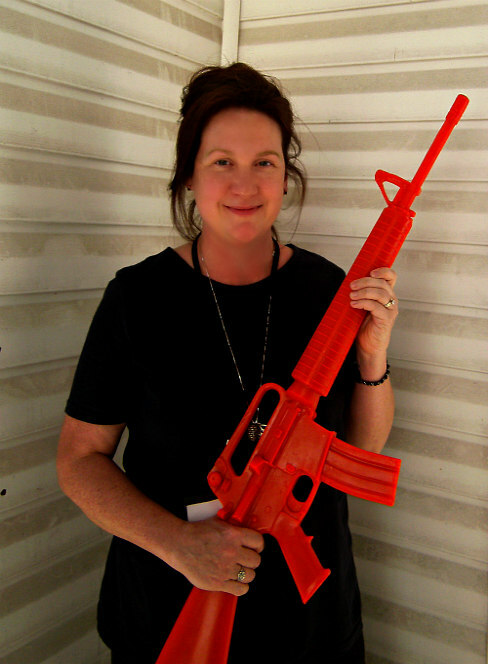 They need to look at chemical signatures to determine if it's rhinoceros keratin or another material like plastic. Next, scientists determine if the animal was killed by an animal, an accidental death or killed by a human. In the Al Jazeera news segment I watched, they showed an autopsy on a golden eagle that was found and sent in by a field agent. It was conducted similar to an autopsy on a human with the veterinary pathologist dictating into a headset microphone while working. During examination she determined that some of the eagle's feathers were singed which suggests it was probably electrocuted by a power line. In photos taken under special yellow light, the feathers glowed orange which was further proof of electrocution. Penalties for animal crimes are much less than other crimes like drug trafficking. Punishment for killing an endangered species may be three years in prison and a fine of a few thousand dollars. To deter these killings, many people believe that the penalties need to be greater. Director Ken Goddard said that the scientists are pushing the envelope every day to solve wildlife crimes. But they need more labs in different areas of the world to handle the case load. Currently they process 2,000 to 4,000 cases annually. Of course, building and staffing new labs would take money. I’m tossing out an idea because you never know who is reading this...Wouldn't it be great if the CSI franchise created a new TV show called “CSI for Animals” based on cases processed by this animal forensics lab and donated part of the proceeds to fund more labs? Have you read any mysteries that feature an animal investigator? If you are looking for a killer chocolate cake recipe, look no further. Donna Andrews told me about the new cookbook from the Mystery Writers of America and I finally got my hands on a copy. “Wickedly Good Recipes” the cover promises – and delivers. Literary luminaries like Harlan Coben, Diane Mott Davidson, Lisa Scottoline, and Nelson DeMille have contributed recipes for everything from Fa-La-La Fruitcake Cookies to Male Chauvinist Pigs in the Blanket. 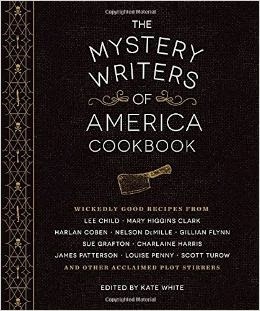 Being a mystery writers’ cookbook, it’s no surprise that the book includes a Drinks section with The Switchblade Cocktail (Gary Phillips), The “Smoking Gun” Margarita (Alison Gaylin), and Lee Child’s Coffee, Pot of One. Last week, friends Martha, Paul, and Ally invited us to dinner and I offered to bring dessert. This was a perfect time to give the cookbook a spin. After scanning the Desserts section, two contenders stood out: Laurie R. King’s Mrs. Hudson’s Coffee Sheet Cookies and James Patterson’s Grandma’s Killer Chocolate Cake. A tough decision, but as usual, chocolate won. Possessing zero cooking skills and wanting to give the recipe the best possible chance for success, I called in my Stunt Baker ™, my daughter, Charlotte, and let her work her culinary magic while I went to work. I know, I’m awful. Lots of butter and chocolate. When I returned, the siren scent of chocolate, vanilla, and almond called me to the kitchen. The cake’s dark, ganache-like glaze glistened as Charlotte mixed it. A tiny taste of the unfrosted cake confirmed my hope. The flavor was divine. It was as if we’d had a visitation from St. Julia of the Never Empty Wine Glass. The flavor was so intoxicating that I forgot to get a picture of the finished and frosted cake. I asked Charlotte for a report. Any lumps in this delectable dessert’s recipe? Just one thing, she said. No surprise in a mystery writer’s cookbook that there was something a bit mysterious about the directions. The recipe calls for “1 and a half teaspoons of baking soda dissolved in two fifths of a cup hot water.” Now I am no baker (see: Stunt Baker) but I don’t recall seeing many 2/5’s in a recipe. No worries with Charlotte in the kitchen, however. The cake was sensational. Now, we know a lot of things about James Patterson: his 300 million books sold, his generous support of literacy, his advocacy for bookstores. 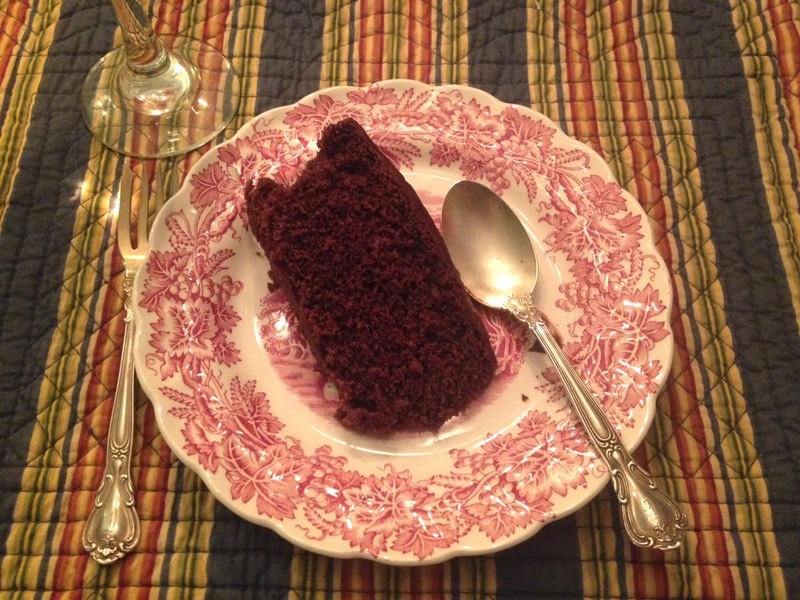 Who knew his grandmother had such a fantastic chocolate cake recipe? No wonder the man looks happy in all his publicity photos. At the dinner party, that contented silence that settles on a table that has been feasting and laughing signaled a dessert that surpasses expectations. We agreed that the touch of vanilla and almond extracts in the frosting was perfect. We also wondered about the name of the dessert. Grandma’s Killer Chocolate Cake? Or was it Grandma’s Killer’s Chocolate Cake? Maybe it was just the wine talking, but we all agreed that correct punctuation is important and that this is a cake to die for. If you like chocolate, make this cake. Or get a Stunt Baker™ to do it for you. The next recipe from MWA’s cookbook to try? Mary Ann Corrigan’s Take Your Pick Vegetable Salad? Alan Orloff’s Killer Tofu? Barbara Ross’ Lobster Pesto Risotto? Gillian Flynn’s recipe for Beef Skillet Fiesta looks fantastic, but after reading Gone Girl, I am not sure I trust her. Do you have a dessert recipe to die for?